Zynga surges on higher sales, casino gaming plans. Expectations for social gaming company Zynga were pretty low before their third quarter earnings report Thursday. But sales topped forecasts, sending Zynga (ZNGA) shares up more than 15% in premarket trading. 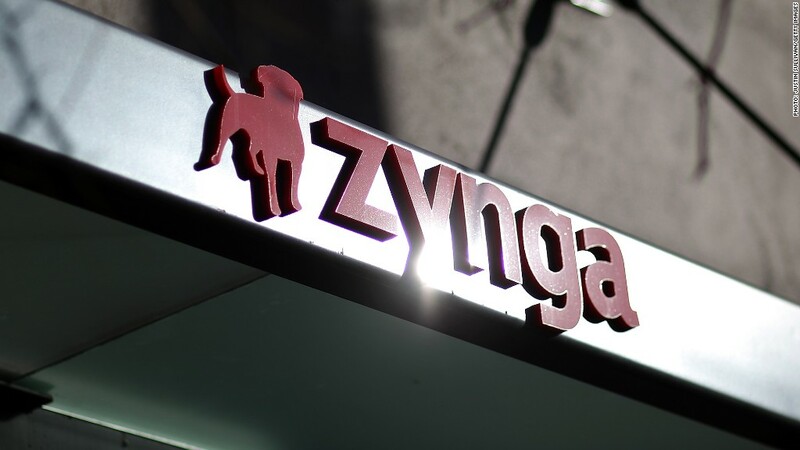 Zynga, best known for FarmVille and other -Ville franchises, reported sales of $317 million for the quarter. That was up 3% from a year ago and surpassed the $256 million in sales that analysts polled by Thomson Reuters were predicting. The company reported a net loss of $52 million, but excluding the compensation costs, Zynga broke even, in line with expectations. In addition, the company announced a partnership with bwin.party, an international gaming operator that will enable real money casino games like poker, slots, and roulette in the U.K. That opens up a potentially lucrative new revenue stream for Zynga. "We view this as a first step into real money gaming." Zynga CFO Dave Wehner said on the earnings call. "We believe it's a good first step, but only a first step towards what we think is a big opportunity for Zynga." The earnings report comes a day after the company laid off 5% of its employees and said it would shut down 13 games under the Zynga umbrella. Several weeks ago, the company lowered its outlook for 2012, citing delays in launching news games and reduced expectations for web games. Zynga CEO Mark Pincus said Zynga's last couple of months have been "challenging," on the earnings call but highlighted the success of the company's newest game FarmVille 2, calling the 3D web-based game a "breakthrough." The company has lost more than three-quarters of its market value this year. As such, Zynga also announced Thursday that it was planning to repurchase $200 million's worth of Zynga shares. Stock buybacks often are viewed favorably by investors since they reduce a company's share count and increase earnings per share. Zynga has struggled to keep users shelling out cash for virtual goods on its biggest platform: Facebook (FB). On Facebook's earnings call, CEO Mark Zuckerberg cited trouble with gaming. "Overall gaming on Facebook isn't doing as well as I'd like," he told investors during the call. According to Zuckerberg, Facebook posted a 20% decline in payments revenue from Zynga over the past year. As more gamers switch to their smartphones, Zynga has focused on mobile, acquiring gaming company OMGPop, the maker of the popular game Draw Something. But Zynga CEO Mark Pincus said the game had "underperformed versus our early expectation" when Zynga cut its guidance earlier this month.